Aucune difficulté particulière pour ce modèle, avec l’association de jersey et quelques pointes de mousse, comme le noeud à l’avant et l’arrondi au dos. 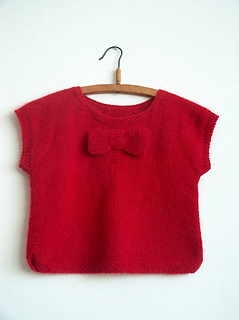 Un petit pull qui sera vite réalisé tout en réchauffant les épaules des petites puces. 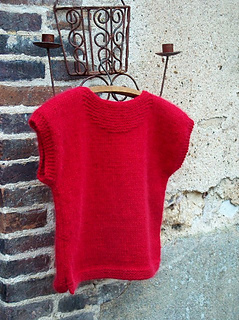 “Glam” is a very ample pullover to feel really good, ideal for the first wintry weather. Sleeveless, the girls can play without being annoyed. 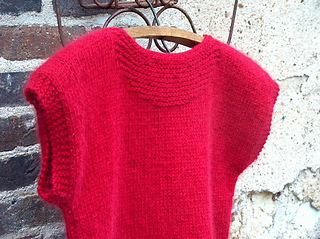 No particular difficulty for this model, with the mix of stockinette and garter stitches, as the knot on the front and the rounding in the back. 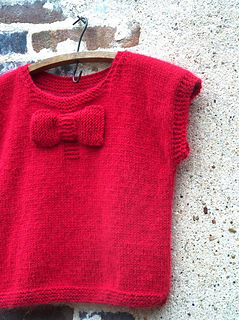 this pullover will be fast realized, And will warm the girl’s shoulders. This pattern is available in English too !